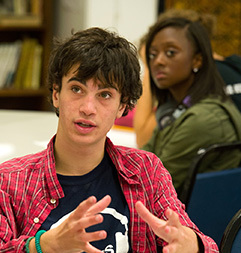 The Arts thrive at ACLC with a variety of elective classes and after-school activities. The Arts are integral to ACLC's growing emphasis on the STEAM curriculum (Science • Technology • Engineering • Arts • Mathematics). ACLC High Schoolers are also strongly encouraged to participate in Encinal High School (EHS) Drama and Musical productions, Band and Jazz Band.